Lots of infrastructure has been created to deal with this, from changes to shipping markets, packaging and distribution centers. One thing that has become critical is speed, and how it impacts the customer service mindset. For consumers, order fulfillment speed may be as important as prices. While cost always matters, there are times when the fastest lead time wins. 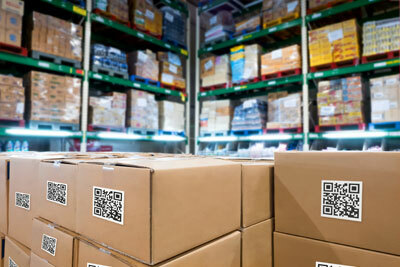 There are always situations where costs, shipping costs, or quality will be the decisive factor, but customers in today’s market have decided to treat online shopping the same as local shopping — if they can pick it up locally today, why can’t they have it that quickly from their online providers? 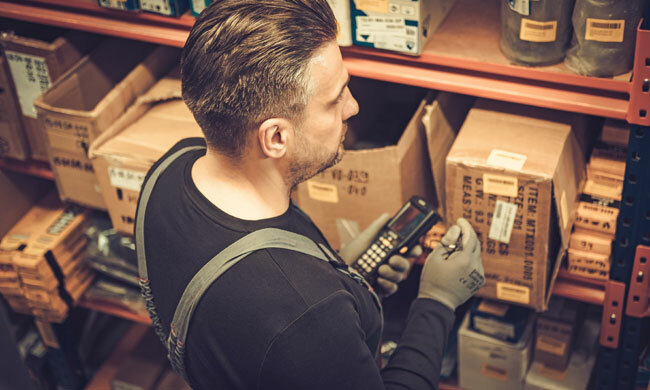 For items on hand, there are many ways to reduce the time from order receipt to shipping by focusing on processes, information and equipment in your facility. Store and classify inventory for fast picking: The basics of warehouse slotting are always an issue. In many operations, the fast movers can changes season-to-season (or faster), consumer trends, marketing efforts and other factors. You should always work to slot the fastest movers in a centralized area convenient to pickers. A logical slotting scheme is one that lets you ship by Pareto; the most popular SKUs can move from picking to packing to shipping with minimal travel time in your system. Create redundant “fast mover” work cells: If a large number of orders can be filled with a handful of SKUs, look at creating dedicated pick modules that focus on those items. This allows you to focus your fastest pickers and best storage locations on the most important items so that you can fill more order faster. Imagine a situation where your most popular items are stored near the packing area, picked by your most-skilled employees. Then, you replicate this for the next tier of products, slotting your “B” items the next closest, manned again by faster employees. Using this strategy, you reduce dwell and travel times for the product, and ensure you have “ace” pickers working on the things that matter most. Does your operation warrant more than one dedicated pick area? You could take this concept as deep as you like, but remember that what’s hot may change over time. That’s okay — everyone has to re-slot, so it may just be a matter of deciding what occupies your work cells over time. While you are by nature assigning less experienced employees to some items, you are reducing the impact because you are also reducing complexity. These inexperienced workers will have simpler pick lists and far fewer SKUs to deal with in this scheme. Find ways to deal with slow movers: While you should “slot for success”, a handful of slow movers can cripple shipping speeds if they are simply shunted to reserve storage and left that way. Find ways to make slow movers easier and quicker when you must access them. See our in-depth guide to dealing with slow movers for more information. Even if an item is picked for only 5% of total orders, that means for speed-driven products, you will need to find ways to improve its picking rates. In some instances, concentrating your slowest items into high-density pick modules should be considered. This allows you to concentrate the space and pick these items faster. It helps not only to speed picking, but saves space for other operations. These types of pick areas can be erected into a pick module or shelf-supported mezzanine. Find ways to automate selectively if your entire operation doesn’t warrant it. This reduces investment, but increases throughput where it is most critical. Simple time studies may show you where the best opportunities to invest exist. Identify the places where new systems, software or equipment can most likely have a faster impact (and faster ROI). But, always leave a path for future enhancements. For instance, we have installed light-directed picking and conveyor loops in to help reduce cycle times in an intensive area, but still provided a path for full automation in the future. Deploy scanners that require no floor-level hardware investments. This isn’t classic automation, but it can help speed the process for lower-volume operations. You may find applications and SAS options that use smart phones as well. 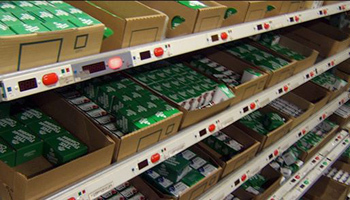 Look at packaging automation that reduces manual handling. This type of automation might place emphasis on areas that slow you down, such as taping, void filling, carton erection, weighing and sealing. This equipment can be installed on a packing line to reduce manual handling (which also reduces labor costs) while speeding the order to the door. Don’t forget the last ten feet. One of the least efficient areas is the zone where a conveyor system ends and a truck waits. Consider using relatively inexpensive flexible conveyors to bridge this gap. It’s good for speed and great for ergonomics. There are many ways to increase order picking speed that may rely on your current system, processes and product mix. Contact us today for more assistance.